This is a wholesale lot of 42 kitchen items. Items include a canning pot, canning lids, skilles, bakeware. These are all new mostly still in original retail packaging. These are a mixture of items, brands and sizes. Please see images for examples of what is included in this lot. Your average cost is only $1.33 each! 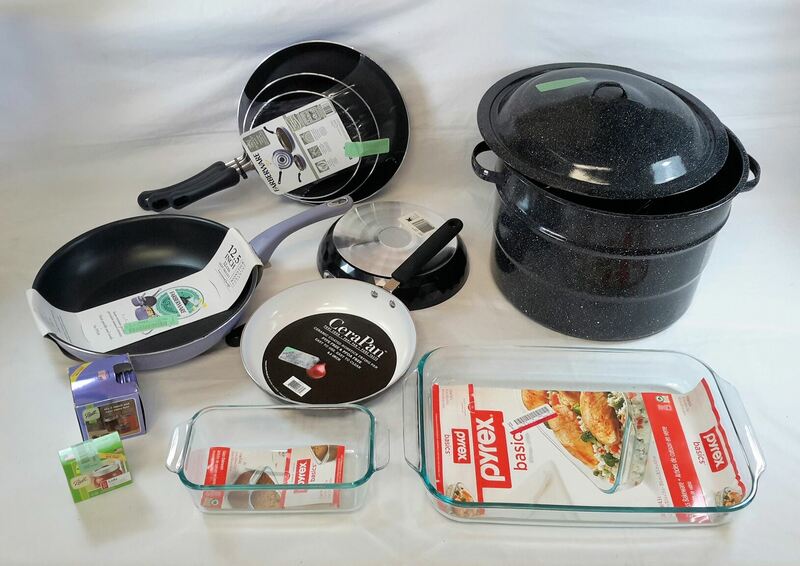 Click the button below to add the Wholesale Lot of 42 Assorted Canning Baking Cooking Kitchen Items Pyrex Farberware Granite Ware MORE Brand New to your wish list.